So Abram went, as the Lord had told him; and Lot went with him. Abram was seventy-five years old when he set out from Harran. He took his wife Sarai, his nephew Lot, all the possessions they had accumulated and the people they had acquired in Harran, and they set out for the land of Canaan, and they arrived there,~Genesis 12:1-5. Have you questioned God’s promises for your life? Have you ever questioned what He was asking you to do? Have you ever doubted His promises for your life or your loved ones? Have you ever looked at your circumstances and then dismissed God’s promises for you? Have you clung to a promises for what seems like an eternity and wondered if God forgot you? Have you ever been discouraged because you felt as though God was handing out gifts and blessings to everyone but you? If you answered yes to any of these questions, know God is 100 percent faithful and understands better than you do how you feel. He knows we are human and prone to doubt Him. Trust develops over time. We learn to trust through relationship. It’s impossible to trust someone we are not close to or don’t know well. God offers us relationship through His Son. We are invited into a deep, personal, and intimate relationship. It’s not only learning about God, it’s about knowing Him personally. He gave us His Spirit so we could know Him in greater ways. It’s more than reading about Him in His Word; it’s getting to know the Author. God is faithful to keep His Word. He cannot lie. The promises God made to Abraham are just one example. God made so many promises that were fulfilled in scripture. God kept and keeps His word 100 percent of the time. He’s also made promises to me and to you through His Son Jesus and His Word. What can we learn about God from Abraham? God kept His promise even though Abraham and Sarah decided to bypass His plan. They grew tired of waiting on God and tried to make the promises of heirs come via Hagar. Their decision has impacted the world in so many negative ways. Sarah did not believe God, and we probably wouldn’t either. She and Abraham were way past the years of having kids! Today we’d say it was medically impossible. 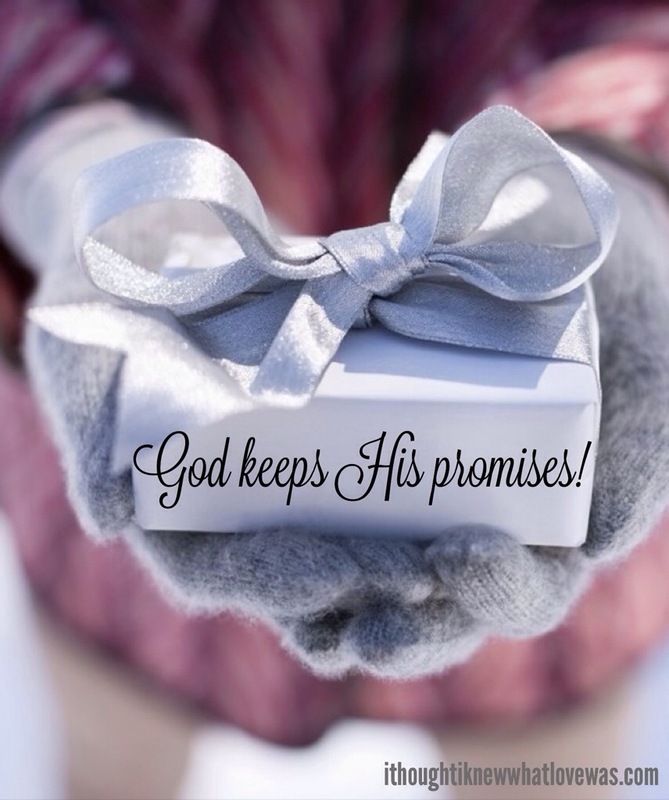 However, when God makes a promise-He keeps His Word. God specializes in miracles! He can do anything He wants. When He makes a promise, you can bet your life on His ability to make it happen. Just look at Jesus and you see a miracle! Jesus was born to virgin. He resurrected from the dead. He healed the sick, raised the dead, and so much more. God is beyond able. Hope is a feeling of expectation and desire for a certain thing to happen. Hope is also a feeling of trust. If you live in the world long enough, you’ll find there’s an enemy of hope. Unbelief is the greatest enemy of hope. The voice that cries out, “Nothing good is going to happen to you. Life will always be this way. Nothing is ever going to change. You have nothing to look forward to. God is not listening to you; He won’t come through for you.” All of those statements are geared towards destroying hope. If we are not hopeless, we can have misplaced hope. Some place hope in a spouse or family, friends, bank accounts, pastors, political party, the government, their appearance, abilities, or themselves. The problem with hope placed in people or things is that it always leads to disappointment. There is nothing more secure than a relationship with God. God is filled with hope. He has great things to say. His Word is filled with promises to deposit hope. My Father’s house has many rooms; if that were not so, would I have told you that I am going there to prepare a place for you? When everything is ready, I will come and get you, so that you will always be with me where I am, John 14:2-3. Don’t worry about anything; instead, pray about everything. Tell God what you need, and thank him for all he has done. Then you will experience God’s peace, which exceeds anything we can understand. His peace will guard your hearts and minds as you live in Christ Jesus, Phil 4:6-7. What father among you, if his son asks for a fish, will instead of a fish give him a serpent;…If you then, though you are evil, know how to give good gifts to your children, how much more will your Father in heaven give the Holy Spirit to those who ask him! Luke 11:11,13. Don’t give up on God. God is 100% faithful. He cannot lie. He is good. He keeps His promises. He has given us His Holy Spirit as a guarantee that we are His. We have a sure hope, not in something, but in Someone! My prayer is that we cling to the One who is secure. 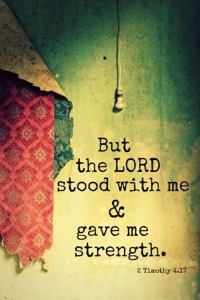 He is our strength, hope, & joy! The Women of Faith Conference this year is entitled Believe God Can Do Anything! There will be amazing encounters with God, great speakers, and wonderful worship. If you have the opportunity to go, it will be a blessing. Check it out Women of Faith. If you stop by the Thomas Nelson/Westbow Press Author Gallery, they will be giving away 50 free ebook downloads of my book. Get your free copy of I Thought I Knew What Love Was. Now that I’ve given you info on this great conference and how to get free ebooks, I want to talk to you a little about faith. What does it mean to have faith, to believe God can do anything? Is faith blind? Or does faith see beyond what is visible? I will challenge you to ponder that faith sees beyond what is visible with the natural eye. Faith is not blind or without vision. Faith does not deny reality, it opens the door for God to create a new reality. Faith sees God moving mountains that we cannot move. Faith sees God working things together for good even when we don’t feel good. Faith relies on the power of the Holy Spirit to impart hope and vision where there seems to be nothing. 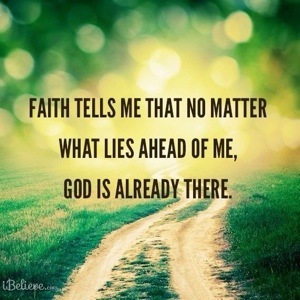 Faith is confident in the abilities of God. 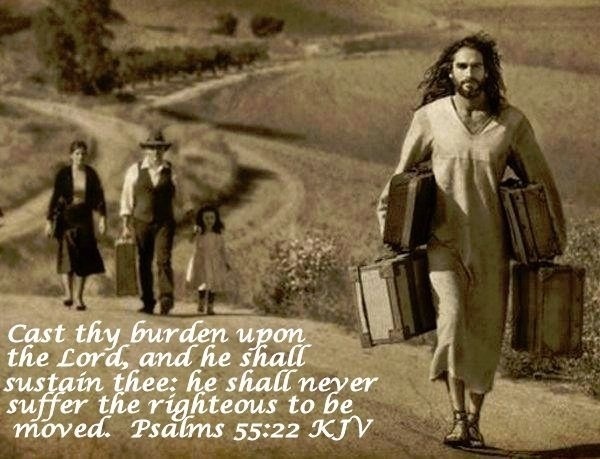 I leave you with the words of Jesus. God cannot fail. Our role isn’t to try to manufacture faith or confidence in Him. Our role is to rest in Him, to confess our unbelief to Him, and to rely on the faith of Jesus! We abide and there is fruit that grows on the vine. Jesus has limitless faith. Sweet friends, God is working on your behalf. God loves you. May this week overflow with a deeper revelation of what Jesus paid for! You are deeply loved ( John. 3:16).